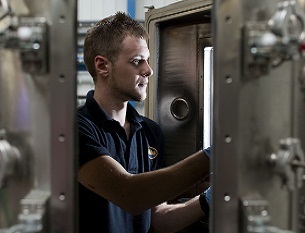 Teer Coatings Ltd » Thin Film Coatings » UK | Technical Support & Service . Due to an ever increasing volume of UDP coating systems in the field and the associated demand for backup on those systems, Teer Coatings Ltd are pleased to announce the launch of our dedicated Technical Support & Service Department. We aim to offer a range of options from individual one off assistance geared to a specific customer’s needs, to annual support & service packages designed to offer you total peace of mind that the correct advice will be available to ensure your system is running at its optimum, and that, in the event of a breakdown the disruption and downtime will be kept to a minimum.